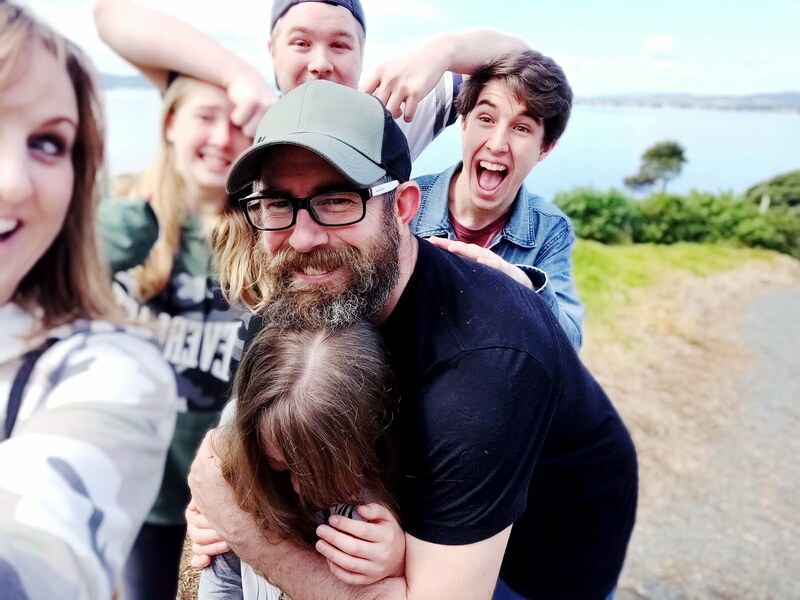 Today we celebrated the birthday of our baby - she's no longer a baby, but a beautiful and precious young lady! A couple of years ago our children were all saying what they would like to do/be when they grew up. 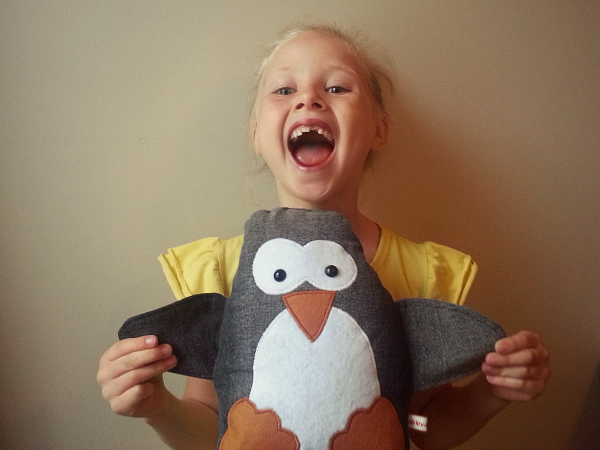 Our youngest declared (with total sincerity) that when she grew up she wanted to be a penguin and live on a farm! 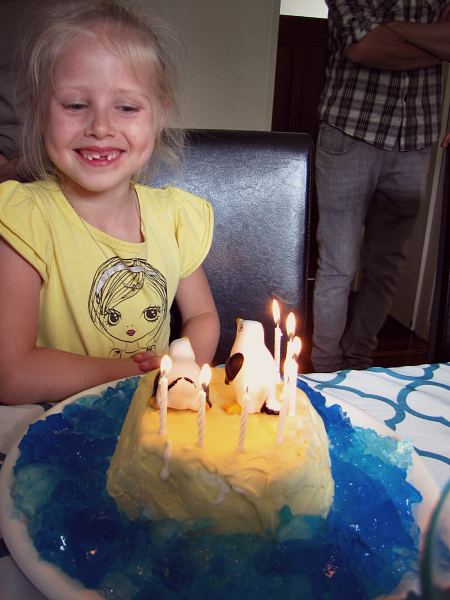 She still loves penguins, and although she didn't have a big party this year with friends (just precious Grandparents, Nana and her great Nana as guests) she had ordered a penguin ice cream cake! Now how in the world do you make one of those!!??!!! 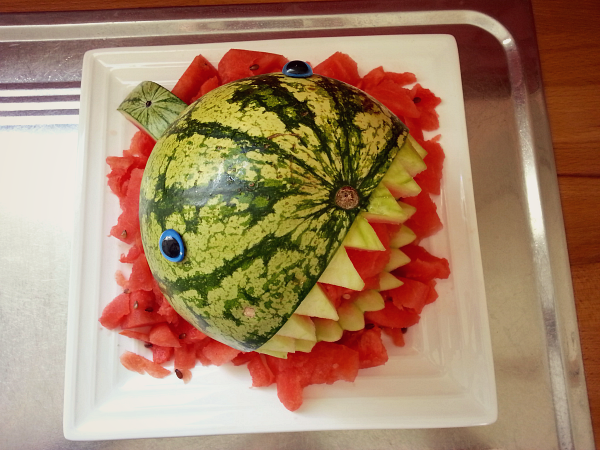 Dad took it upon himself to create her one, along with a Watermelon Shark again! 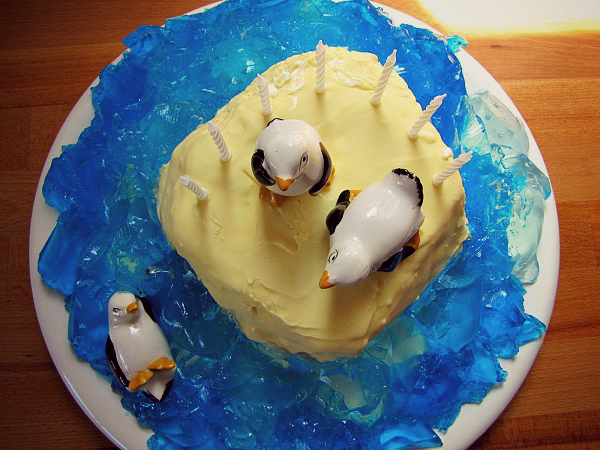 *For those of you wondering, the Penguin Ice Cream Cake is basically a tub of ice cream, covered in melted white chocolate, surrounded by jelly and decorated with some precious penguin ornaments. Easy huh!?! Also, it totally tasted like a white chocolate Magnum!!! We had a delicious afternoon tea and enjoyed celebrating this precious wee girl, our little gift from Happy Land! Happy birthday to our beautiful Happy Land princess! p.s. 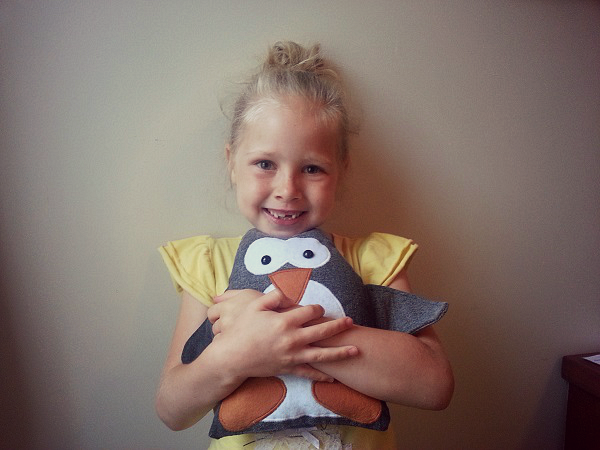 She loved her Penguin Softie!!! 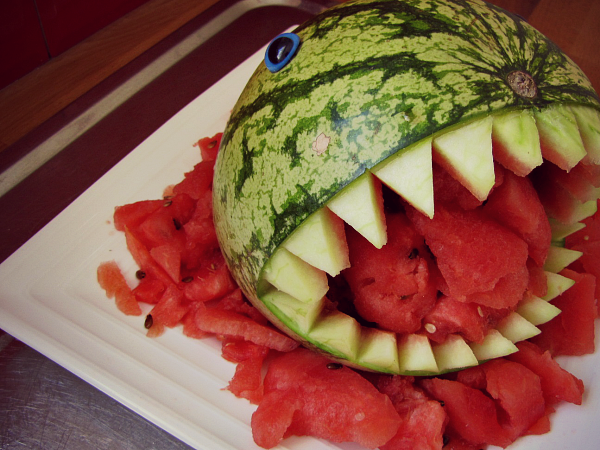 The cake looks fab, love the shark watermelon too! She looks wonderfully happy! Almost share my little girl's bday on 17th 7years.. We're going with Rapunzel party this year. 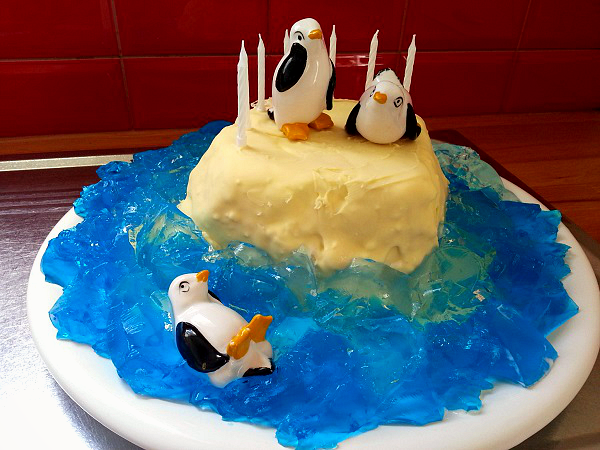 But have to remember this fantastic cake for our little boy - he loves penguins. Do you know the books 'penguin and pinecone' , 'penguin in love' Happy Valentine's Day btw (I love the knitting part here so much!!! ..if you don't have it, let me know I'll send you a copy as a bday pressie) :) & 'penguin on vacation'? Ultimate favorites I our house. You had a wondetful day! Happy birthday to her! 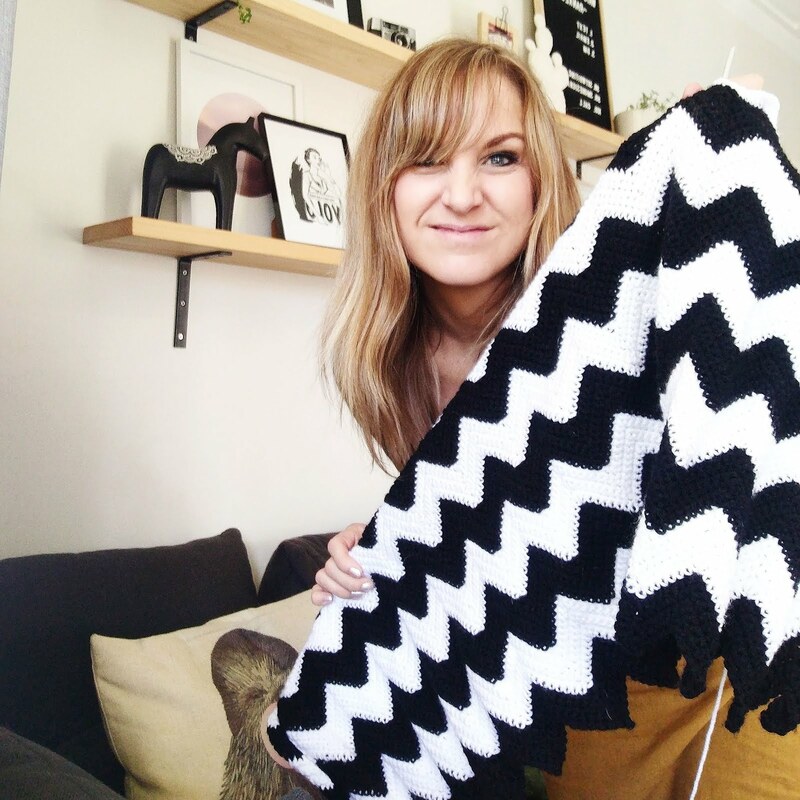 She is gorgeous and you can see how infectious her happiness is from the photos! 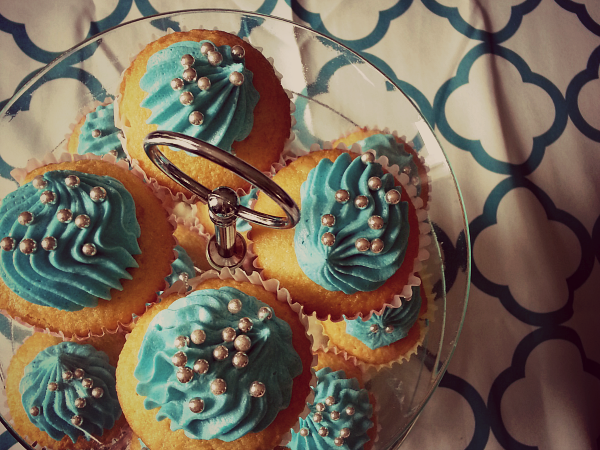 Great idea for a simple, easy cake!